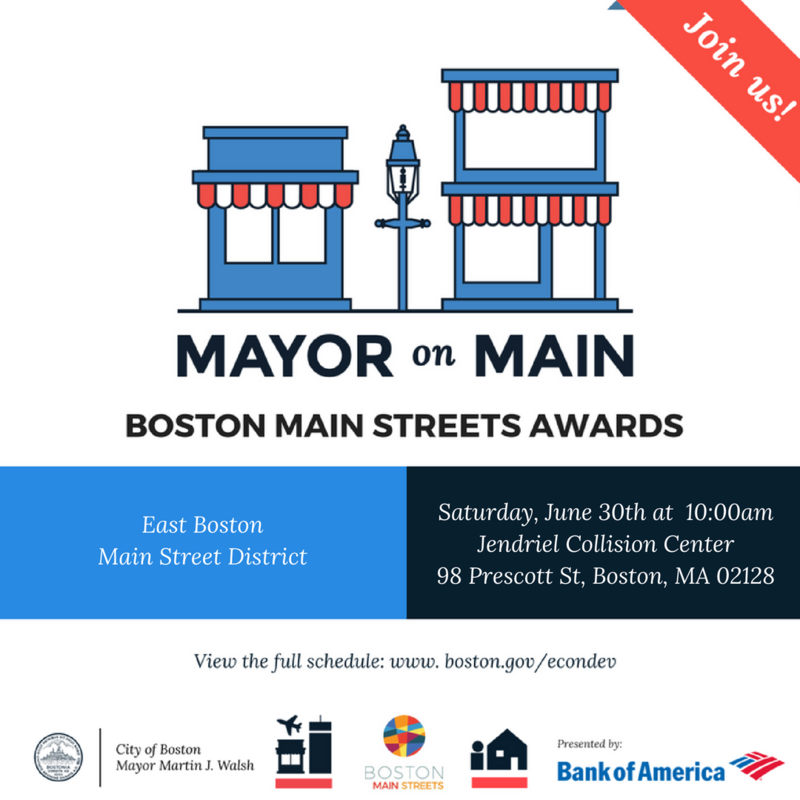 Mayor on Main: Join Mayor Walsh and East Boston Main Streets’ Executive Director Max Gruner on Saturday, June 30th at 10:00am at 98 Prescott Street in East Boston to recognize this year’s recipients of the Business of the Year and Volunteer of the Year awards. East Boston, MA 25 June-2018 Now in its 22nd year, Mayor on Main and Main Streets will be recognizing this year’s Volunteer of the Year and Business of the Year for East Boston on Saturday, June 30th at 10:00am at Jendriel Collision Center, 98 Prescott Street in East Boston. Mr. Guerrero opened his business in East Boston 25 years ago, the same year his child was born and named the shop after his son, Jendriel. Hector believes in excellent customer service and always prioritizing the best interest of his clientele. His business is based on honesty, transparency, and highest quality work at an affordable price. Hector thanks the East Boston community for their two decades of support and is grateful to the City of Boston for helping him grow and succeed. A long time supporter of East Boston High School sports programming, Hector is looking forward to many more successful years in Eastie. Mr. Dan Bailey is a very effective community leader continuing the proud East Boston tradition of citizen engagement. Always polite and professional, exceptionally well informed and well spoken, Mr. Bailey is the indefatigable face and leader of East Boston’s preservation movement. Mr. Bailey consistently guides and focuses the energy of the community, brings people together for specific, well- defined, and tangible causes. Mr. Bailey is an accomplished researcher, has created numerous important historical documents relevant to East Boston and is the consistent, calm voice of reason asking hard questions and proposing reasonable alternatives. EBMS is a non-profit corporation. Its mission is to create a more vibrant business district by initiating private and public improvements, promoting commerce, and supporting efforts to improve the quality of life for all who live, work, and do business in East Boston. Last year at one of the mayor's press conferences on local improvements, longtime activist and neighborhood fixture David Arinella took note of what many of his neighbors knew for a lifetime: "East Boston is now 'HD' which is not ‘high definition’ but rather what we call 'highly desirable.'" To residents who battled airport expansion and fought for open space for generations, East Boston was always a prized neighborhood with its vibrant civic life and an impulse to thrive, an impulse often driven by its geographic isolation. Everyone who claimed Eastie as their hometown embraced the great possibilities, an outlook passed along from cascades of immigrants dating back to the middle of the 19th century to the more recent arrivals. Across the harbor and at City Hall, many began to take notice of a neighborhood that never had to be resilient because it was always alive — weaves of families roaring with the ferocity of jetliners passing overhead. The families cultivated the civic virtues with fraternal clubs, sports leagues, public meetings and charitable events. The value added is priceless. Over the past decade, real estate developers, high-tech millennials, artists and entrepreneurs streamed to Noddle's Island. The breathtaking Piers Park and East Boston Greenway completed the puzzle of passive and recreative parkland long missing. Now cultural institutions are —literally and figurately — crossing the harbor to take a stake in the East Boston's future. This week the Institute of Contemporary Art, fulfilling an aspiration of players on both sides of the harbor, cut the ribbon to its new outpost announced to the world as ICA Watershed. The final product is the result of a two-way collaboration between residents and the city’s arts elite, with public entities such as city government and Massport playing midwives. 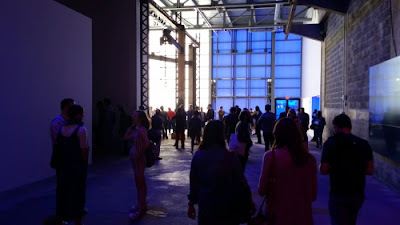 By converting an old sheet metal factory on Eastie's waterfront in the middle of a reborn cottage maritime industry boats are still built, the ICA has cast an anchor that connects downtown’s creative class with a socially dynamic neighborhood, extending its mission to present and curate the cutting edge. However, since the foundations of the new prosperity were established by the hard work and persistence of vision of residents, it can be said that East Boston elevates the stature of the ICA, rather than simply the reverse. 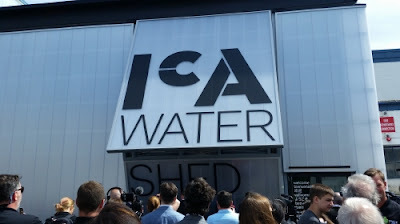 But credit the ICA for its foresight for the watershed is not just a destination devoid of context. The new space pays generous tribute to East Boston’s maritime history, a short film featuring the stories of local residents welcomes visitors. With its open area for artist projects, meeting space, teen programming and a small outdoor patio with views of the ICA’s main Seaport campus and Boston’s 21st century skyline. Admission to the waterfront will be free to all, an incentive for middle and low-income residents to participate in the creative groundswell. Mindful of the transportation issues facing the city, the ICA forged a contract with Boston Harbor Cruises for ferry services. Sustaining a partnership with the community going forward is critical for local patronage. The ICA is relying on assistance from the East Boston Neighborhood Health, the East Boston Social Centers, Maverick Landing Community Services and Zumix, the renowned music learning center to provide programming. 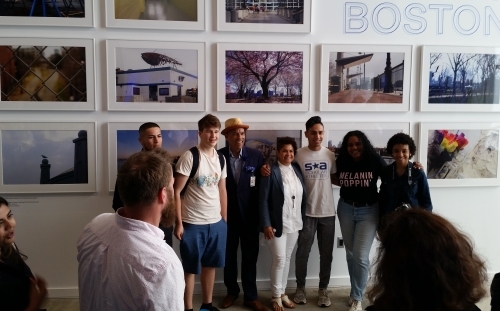 The June 22 event was punctuated by a display of photography by teens who compose a panorama of East Boston’s architecture, people and settings as it transitions from winter to spring. Expect more creative engagement from local artists such as Atlantic Works and others already established across the neighborhood. Exploration and movement have always been undercurrents in East Boston life. 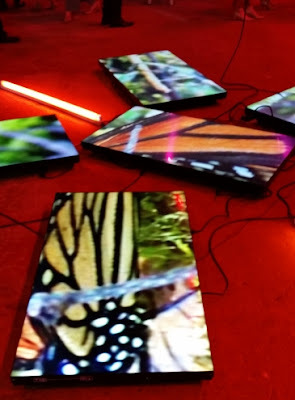 Thater’s moving images, in their own way, capture the restlessness and energy that has always made East Boston and its people a special place. The famous shipbuilder Donald McKay designed and crafted the clippers barely a mile from the Watershed. A central historical figure beloved by later generations, McKay was endowed with a great imagination that set sail ships connecting New York and San Francisco in record time. It is entirely possible that the ICA, cutting down the boundaries between East and South will sustain that imagination. Frank Conte is the editor and publisher of EastBoston.com, established in 1995. The ICA Watershed will open to the public on the Fourth of July. Admission to the Watershed will be free. 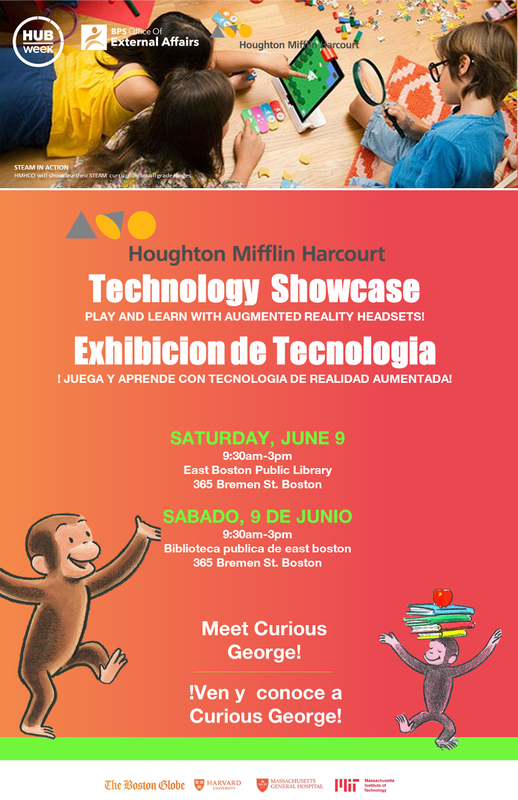 Preview days for East Boston residents will take place on June 30, July 1 and July 3. For more information visit www.icaboston.org. Here's a quick slideshow from EastBoston.com. 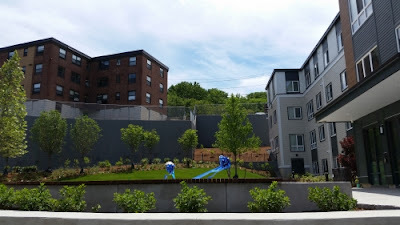 BOSTON - Friday, June 22, 2018 - Mayor Martin J. Walsh cut the ribbon today to celebrate Phase One of the redevelopment of Orient Heights Overlook Terrace and announced the City's commitment of $10 million to launch Phase Two. Phase One is the initial step to redevelop the 331-unit Orient Heights public housing development in East Boston. Mayor Walsh was joined by Boston Housing Authority (BHA) Administrator Bill McGonagle, representatives from the Department of Housing and Community Development (DHCD), MassHousing, along with the development team of Trinity Financial and East Boston CDC. "It's great to be able to celebrate this important milestone reached at the redevelopment of Orient Heights, which when completed, will make 331 units of housing available to residents and families in East Boston," said Mayor Walsh. "This project will significantly improve the facility for current and future tenants, and contributes to the City of Boston's committed to creating more affordable housing for all. I thank everyone involved for their partnership as we work together to see this redevelopment through completion." 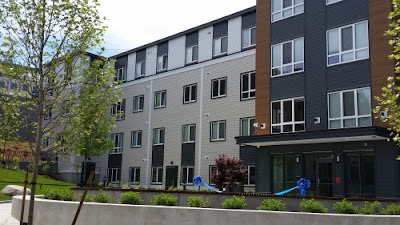 Orient Heights Phase One included the creation of 120 units of new affordable rental housing. The units are spread across four townhomes containing 32 units and one mid-rise building containing 88 units and on-site property management offices. 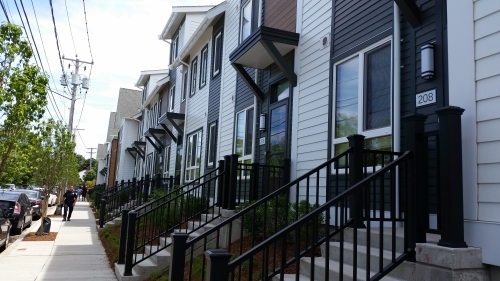 All 120 units will receive an operating subsidy-75 percent of the units will receive state public housing operating subsidy and 25 percent of the units will receive project-based subsidy through the Massachusetts Rental Voucher Program. The Phase One project achieved Leadership in Energy and Environmental Design (LEED) Platinum certification. Phase Two of the redevelopment will provide an additional 88 rental units in 2 townhouse buildings containing 16 units and one mid rise building containing 72 units and community space. The Phase 2 project will also include improvements to portions of Vallar Road, as well as open space enhancements. 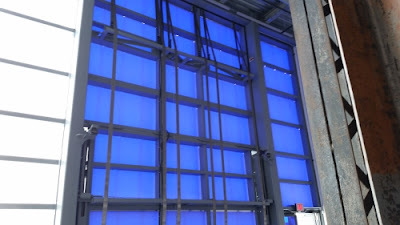 "We are excited that the first phase of this project is complete," said BHA Administrator Bill McGonagle. "We are looking forward to working with our development partners, Trinity Financial, and the residents of Orient Heights, to begin Phase Two of this effort and continue to preserve needed affordable housing for current and future generations." The total development investment in Orient Heights Phase One will be approximately $51.2 million. The financing plan includes $17.5 million in private equity raised through an allocation of federal 4 percent Low-Income Housing Tax Credits; tax-exempt bonds for construction financing; $32.725 million in state public housing capital funds from BHA and DHCD; and affordable housing resources from the City of Boston. Mayor Walsh is investing $10 million for Phase Two through the proceeds from the sale of the Winthrop Street Garage, as well as $1.83 million in Inclusionary Development Policy Funds, secured from the Davis Companies' 99 Sumner Street development in East Boston. Phase Two demolition and construction is anticipated to begin this fall. 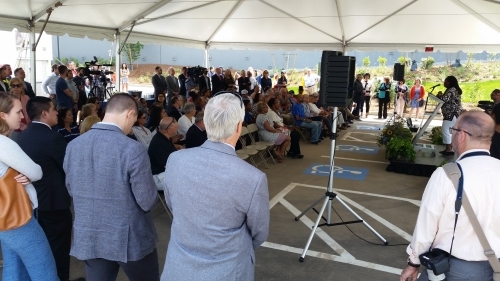 "Today marks an exciting milestone in the revitalization of the Orient Heights development," said Trinity Financial Vice President of Development Eva Erlich. "We are proud to be a part of the collaboration with the Commonwealth, the City, the Boston Housing Authority, East Boston CDC, the Orient Heights residents, and our colleagues in finance and development to see this first phase through to completion, and we look forward to continuing the transformation of this site with next phase." Current residents will work with a relocation team regarding which relocation options best meet their needs. Relocation options include moving to another BHA public housing development of their choice or moving to privately owned housing with a state subsidized MRVP voucher. Residents also may choose to return to the redeveloped site when construction is complete or remain in place after initial relocation. The Orient Heights public housing development is owned and managed by the BHA, which undertook a planning process in 2008, funded by DHCD, to consider redevelopment options for the site. The BHA commissioned a master plan with an overall design concept and established the goals for the site's redevelopment-to transform the site into an attractive, energy-efficient and healthy housing community modeled on the successful transformations of the BHA's previous public housing redevelopments at sites such as West Broadway, Maverick, and Old Colony. In January 2015, the BHA selected the development team of Trinity Financial and East Boston CDC to work with BHA and DHCD to finalize a redevelopment strategy for the site. This development team secured financing to implement the redevelopment, and will own and manage the buildings post-redevelopment. The BHA will continue to own the land and will lease the land to Trinity. Since January of 2015, BHA and the development team have held public meetings with residents and the neighborhood, monthly meetings with the Resident Task Force and various meetings with City and State officials. The project has been largely supported by the community, which has seen a need to redevelop Orient Heights as an inclusive piece of the neighborhood. BHA, Trinity, and the East Boston CDC will continue to meet with the residents and the broader neighborhood on an on-going basis throughout the project's stages. Trinity Financial is a community-driven, diverse real estate development firm with a proven-track record of redeveloping complex urban sites from New York to Greater Boston. Our work spans half a dozen residential and commercial specialties, from multi-family housing to transit-oriented development. Over the past 30 years we have completed more than $2 billion in innovative development, delivering high quality, sustainable, multi-family housing, ranging from affordable to luxury - all with a commitment to people and place. For more information about Trinity Financial, please visit www.trinityfinancial.com. Completely exempts lodging houses, bed and breakfasts and certain corporate housing with established contracts with educational, medical or other institutions from regulation as a short-term rental. “Executive suites,” addressed in the zoning code, also function outside of the short-term rental regulation. While in session, the Council also voted to adopt amendments which would improve data collection and allow investor-owner units a brief grace period to fulfill existing leases as their business model is phased out. Councilor Edwards is committed to reviewing the success and challenges of implementing the short-term rental ordinance and revisiting the issue as necessary in the future. City Councilor Lydia Edwards, State Senator Joe Boncore and State Representative Adrian Madaro today issued a statement applauding the Walsh’s administration decision to move forward with PLAN: East Boston. This planning initiative is intended to promote predictable development across the neighborhood, advance anti-displacement strategies for residents and businesses, address transportation challenges, improve waterfront connectivity and adapt to climate change. The East Boston delegation had previously issued a joint statement on May 9th calling for an East Boston Master Plan, and prior to the Mayor’s announcement, Councilor Edwards filed a hearing order to ensure East Boston residents could weigh in about their goals for the neighborhood. The hearing is presently being scheduled and will be held in East Boston. 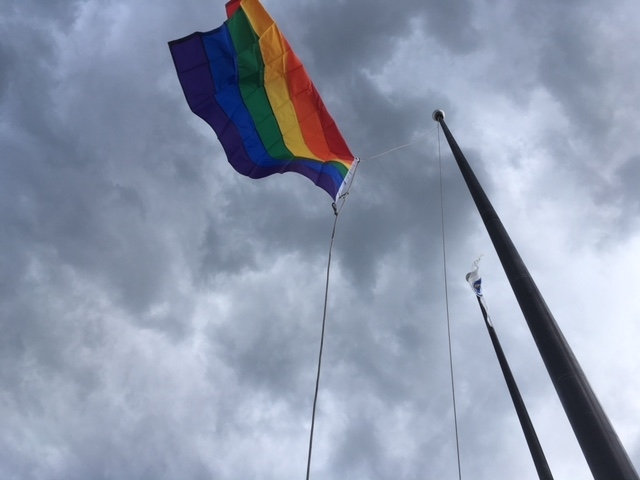 Joint event hosted by East Boston LGBTQ Residents and allies, MassPort. Representatives from our elected officials will also participate. BOSTON - Wednesday, June 6, 2018 - Mayor Martin J. Walsh today announced that the Boston Planning & Development Agency (BPDA), with stakeholders from across the City, will launch planning initiatives this year in Downtown, East Boston, Mattapan, Newmarket, and a mobility-focused planning initiative in Allston-Brighton. Guided by Imagine Boston 2030, Mayor Walsh looks to continue working in partnership with communities across the City to ensure Boston preserves wisely, enhances equitably, and grows inclusively. Through these three principles of "preserve, enhance, and grow," the planning initiatives will work with the community to create a comprehensive vision for each of the planning areas and guide future growth and investment. "Over the last four years, we have set strong foundations in our planning efforts that will guide our growth as a city in a way that is responsible and inclusive, for many years into the future," said Mayor Walsh. "These five new planning processes represent a continuation of our commitment to fulfill the individual needs of each neighborhood that both preserve the distinct historic character, and allow for us as a community to plan together for our bright future ahead." The planning initiatives build on the strategies outlined in Imagine Boston 2030, Boston's first citywide plan in 50 years aimed at guiding growth and those of Housing A Changing City: Boston 2030, Mayor Walsh's plan to create housing at a variety of income levels across the City. The goals outlined in the Mayor's housing plan are currently being reviewed to ensure that they continue to reflect current conditions. Enhance Neighborhoods: In some residential neighborhoods - such as East Boston and Mattapan - comprehensive planning will include a focus on balancing contextually-sensitive development alongside preservation; supporting existing residents and businesses through increased access to opportunity, affordability strategies, and anti-displacement policies; improving the public realm and access to open space and neighborhood-serving amenities; addressing mobility challenges; and supporting neighborhood resiliency and preparing for climate change. In other neighborhoods - such as Allston-Brighton, mobility planning will help to address the challenges presented by the increased pace of development projects. 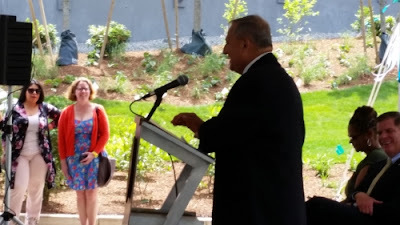 "I applaud the Mayor for following through on his commitment to East Boston regarding development planning," said Ernani Jose DeAraujo, Vice President of the Eagle Hill Civic Association. "While residents have benefited from the strong economy and many jobs created in the past few years and as home prices have increased, we need a comprehensive plan for development to make sure all families can stay in East Boston and continue to thrive, regardless of their income." "As a resident of East Boston and a Board Member with the Jeffries Point Neighborhood Association, I've seen many changes in the neighborhood," said Renee Scalfani. "Thank you to Mayor Walsh and the BPDA for listening to residents and business-owners and establishing this PLAN: East Boston initiative. This is something that will help the neighborhood tremendously and working with the City on this issue will be beneficial for all the residents of East Boston." PLAN: East Boston will work with the community in the existing neighborhoods in East Boston that are facing increased development pressures to determine a shared vision for the future of the neighborhood. Community discussion will focus on preservation of the existing residential fabric, enhancement of the vitality of existing residential communities and businesses, anti-displacement strategies for residents and businesses, connectivity along the waterfront, mobility, and flood protection and climate resiliency. 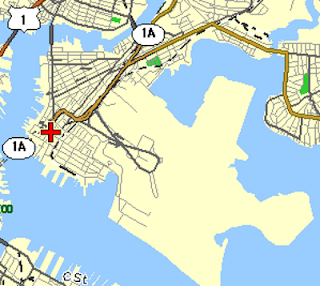 The BPDA is exploring moving forward with an East Boston Interim Planning Overlay District (IPOD) for East Boston's existing residential neighborhoods, an interim zoning tool that is used to maintain increased public review and community voice in the evaluation of proposed new development during a planning process. This weekly story time features books, songs, and movement. Tuesdays at 11:15 a.m.. For ages 2-5 accompanied by an adult. Tuesday, June 5 and Tuesday, June 12 at 10:30 a.m.
Little Groove presents music classes for toddlers and preschoolers. Come sing, move play instruments and more. For ages 2-5 accompanied by a caregiver. For children 1-5 years of age.Moms, dads, grandparents and other caregivers are welcome! Children will start to build on their school readiness skills. Monday, June 4th, 6-7:30 p.m.
GrubStreet and the Boston Public Library present Translation and Social Justice, a bilingual creative writing workshop. Instructors: Denise Delgado and Gabriel Sosa. This workshop welcomes participants comfortable in either English or Spanish and is open to anyone with any level of writing experience or skill. Mondays from 1 p.m.-2 p.m. Tech confusion? We can help! If you have questions about a laptop, Chromebook, Android or iPad tablet, Kindles and eBook readers, iPods, or about smartphones of all sorts, drop by with your fully-charged device and we can help you learn a new technique or trick to get your tech device working for YOU! Yu-Gi-Oh Club -meets every Saturday from 1:30-3:30. Mondays at 6:30 and Tuesdays at 1 p.m.
Come practice speaking English with our conversation group. It meets meet on Mondays.These groups are free and open to the public. No registration needed. June 7th at 6:30 p.m.
Have you learned how to cook something amazing from your grandparents? Have a recipe you want to pass down? Invented a new recipe? Add your recipe, your culture, and your voice to our cookbook! We will be collecting recipes, stories about your favorite foods, and photos of meals you’ve made from now until the end of June. Share your recipe with librarian Djaz in person, by posting to this event, or by emailing Djaz at jidakaar@bpl.org! Monday, June 4th and June 18th at 4-5 p.m.
Nellie loves to listen to stories. Come read a book to her and make a new dog friend. She’s available on a first-come, first-served basis. For information any of these programs, call or come in to the East Boston Branch Library, 365 Bremen Street, (617) 560-0271.